SanDisk's 400GB SanDisk Ultra is on sale for only $84 on Amazon today. Boosting your storage is always a good idea, and today, gobbling up a lot of gigabytes doesn’t have to be expensive. 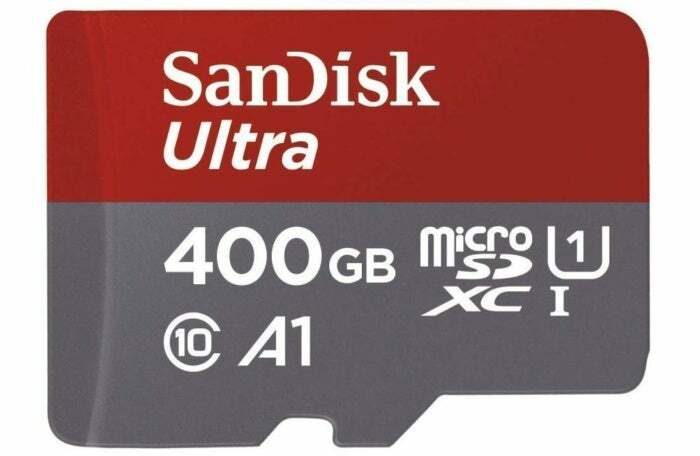 You can grab the 400GB SanDisk Ultra microSDXC card for just $83.98 on Amazon, down from a list price of $250 and a crazy low price for such a substantial amount of storage. This card will bring a whole lot more space to your Android device, PC, or even your Nintendo Switch on the cheap. With transfer speeds up to 100MB/s, you’ll be able to move up to 1,200 photos in a minute, and the connected SanDisk Memory Zone app helps you view and move files even easier. This microSD card is designed to help speed up app launch speeds and performance, too. While we haven’t tried this memory card ourselves, it’s a hit on Amazon, with 4.5 stars out of 5 across nearly 12,000 user reviews.